The Valparaiso Lakes Area Conservancy District is working with the Indiana Department of Environmental Management to maintain the district's MS4 requirements as required under the 1987 Clean Water Act. 2008 NOI 2008 Notice of Sufficiency notes that Lakes Area Conservancy's NOI has been approved. IDEM Audit of NIRPC Performance Agreement with the Northwestern Indiana Regional Planning Commission (NIRPC) for minimum control measures 1 & 2 (Public Participation / Public Information); IDEM's audit of NIRPC's performance on MCM1 and MCM2 for partnership. 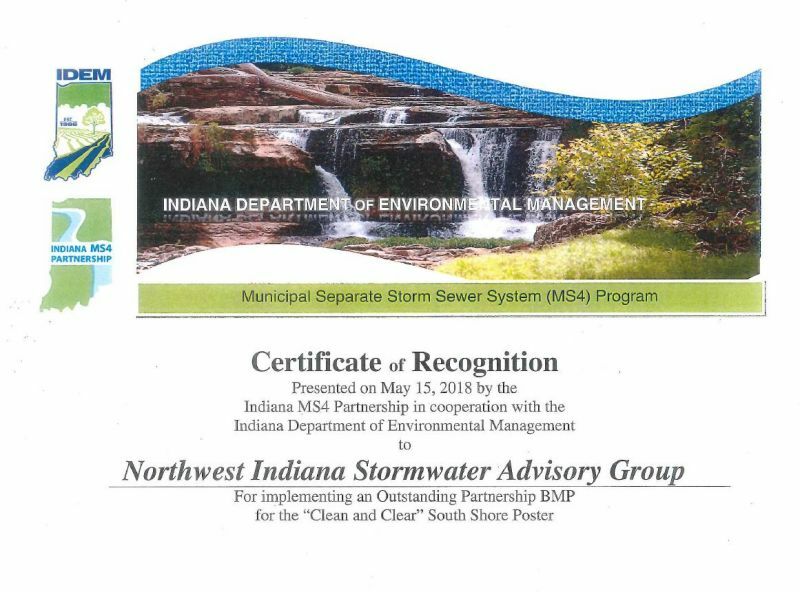 VLACD / NIRPC Agreement Municipal Separate Storm Water System (MS4) Agreement between the Northwestern Indiana Regional Planning Commission (NIRPC) and VLACD. NORTHWEST INDIANA STORM WATER ADVISORY GROUP The Northwest Indiana Storm Water Advisory Group (NISWAG) is a coalition of municipal separate storm sewer system (MS4) entities providing leadership in the protection and enhancement of storm water resources within Lake and Porter Counties. CLICK HERE for additional information.